You can never have too many colorful dress shirts in your wardrobe if you take your appearance seriously and like to dress nice. 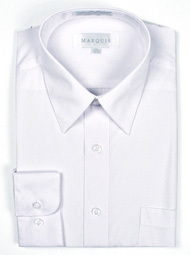 Mens colorful dress shirts are always an important staple to keep on hand. 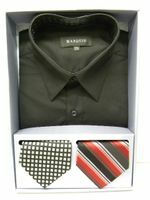 You'll find that here at Contempo, we don't shy away from color and you'll find one of the biggest selections of colorful dress shirts for any situation that you intend to attend. 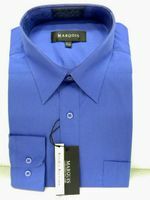 Besides your basic white, blue and black dress shirts, you'll be able to score dress shirts in tons of other colors because style counts. Have you shopped online for the latest Stacy Adams Shoes for men.